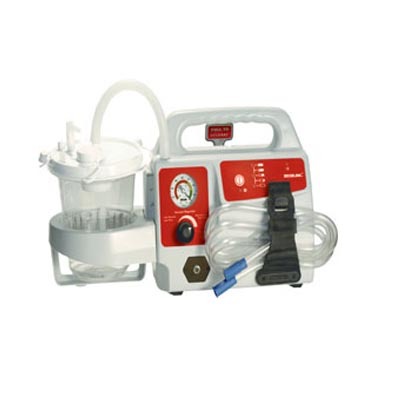 SSCOR VX-2 Portable Suction - J.D. Honigberg International, Inc. 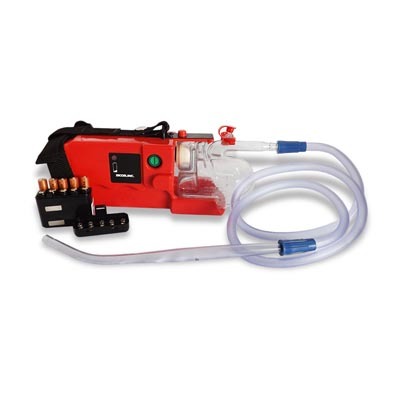 The SSCOR VX-2 is a lightweight, portable, powerful and “firefighter” tough, battery powered suction unit. 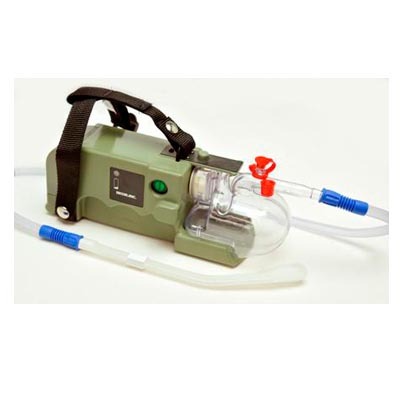 The VX-2 is powerful enough to meet state, national and international standards for portable suction equipment (>30 lpm airflow and >525mmHg negative pressure), and versatile enough to provide essential medical suction inside and outside the vehicle. 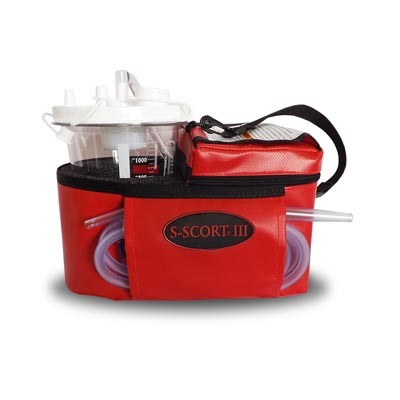 The SSCOR VX-2 Portable Suction features an advanced battery maintenance system. The 3 LED, 5 position battery indicator alerts the user when the device is being charged as well as the condition of the internal sealed lead acid battery as the suction unit is sitting on charge. Additional LED’s indicate when the VX-2 is plugged in to a power source and when the pump is running. The battery maintenance system allows the device to be plugged in at all times without over charging the device. Additionally, the battery maintenance system monitors the battery voltage as the device is running and alerts the user when the voltage is getting low. 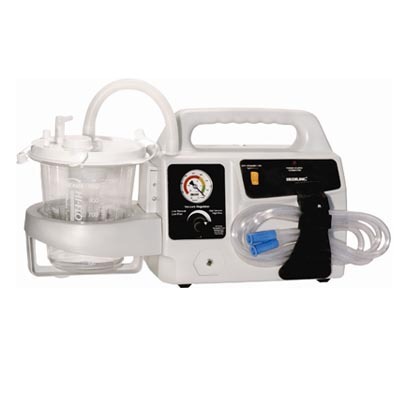 When the battery voltage is depleted and the suction unit is no longer able to operate to specifications, the battery maintenance system disconnects the battery from the vacuum pump protecting the battery from a deep discharge condition which can lengthen the life of the battery. The battery maintenance system also features a low battery capacity alert system that lets you know when it is time to change your battery. The LEDs on the front panel will begin to blink when the device is operated with a low capacity battery.